MNP Petroleum trading at 11 cents (US) is a very unique small cap oil company and it trades in Canada under the symbol MNP and in the US under MNAP. I am in the US and have been buying MNAP so I will address prices in US Dollars, increase approximately 10% for the Canadian equivalent if that’s your preferred market. 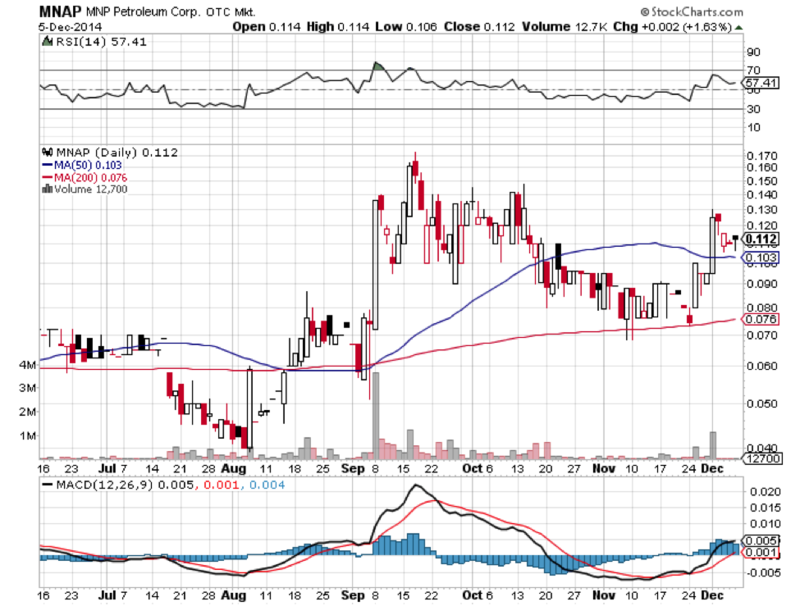 This company was brought to my attention when I mentioned Petromanas Energy in the summer in my other newsletter. The M in MNP is “Manas” and Petromanas’ large project with Shell Oil in Albania was purchased from MNP. MNP has some quite large European/Asian oil/gas assets, still owns shares and has upside in Petromanas, has a very impressive management team/board of directors, and were just financed to the tune of $67 Million on EXTREMELY favorable terms by an institutional investor. The company has a recent corporate presentation you can scroll through to learn about their assets/company here. Stichting may be looking at this like a reverse takeover of sorts….a way to go public and put huge assets into the venture to boost the value. The bottom line is that this deal really got my attention and it will get much bigger investor’s attention as they start drilling and end up merging more large assets into the company. We very rarely see a $20MM market cap company get funded for 3.5 times their entire market cap, at a huge premium nonetheless! So, MNP has significant oil/gas assets, a multi-billion dollar conglomerate as a close partner, and is very cashed up to grow this company. I think the relatively muted response to this blockbuster news is because of the recent action in oil/oil stocks has kept people on the sidelines. But, I can tell you what will happen here. Sometime by early-mid next year a large institutional investor will catch on and take the stock way up to take a position…..although, it should move higher in the meantime. But, this stock is also very undervalued/under followed and I think this will be a great short term and long term investment for BGL subscribers. This is definitely still a speculative opportunity as we do not have very much information about the intentions of Vagobel/MNP. I am simply reading between the lines here and making a call as to what I sense is at least very ambitious plans. I have never spoken to MNP management nor anyone closely associated with the company. Sometimes I really like this objective view with small cap plays because I’m going strictly on what I’m seeing/reading. This is what happened with Zenyatta Ventures a couple of year ago. I made a recommendation based on my own way of conducting due diligence when I was intrigued by the graphite sector, then 6 months or so into that recommendation, I finally started to engage with management. In that case, it worked out exceptionally well when the stock moved from 18 cents in August 2012 to $5 per share in July 2013, a net 25 bagger. MNP definitely has big upside potential. But, much will need to be revealed in terms of their business plan, execution thereof, and market affinity towards energy/oil and gas securities. Despite the recent bearish sentiment in oil, I feel that this has presented discounted investment opportunities and MNP is the type of story that could buck the sector trend if it proves to remain bearish for an extended period. If you have a longer term mindset, I think this stock can be a core small cap position that can be bought up to 14-15 cents US….aggressively. Even for trading you can buy up to 13 cents and likely sell in the .20’s early next year (shares are clearly trading above the 50 day moving average, which is bullish). My gut tells me this is going to be a 10-20 bagger in the next couple of years but I think it’s a layup that will double or triple from current prices. I strongly suggest consider taking a position and accumulation on any dips these next few weeks. 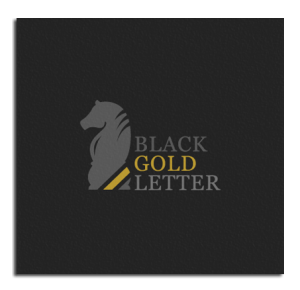 This is a juicy one…Black Gold Letter is initiating a buy recommendation and 35 cent 12 month price target, which is a triple from current prices. Disclaimer: Eric owns shares in MNP Petroleum and may choose to buy or sell anytime without notice. Legal Disclaimer: I am offering ideas for your consideration and education. I am not offering financial advice. I am not a financial or investment advisor and am acting in the sole capacity of a newsletter writer. I am a fellow investor and trader sharing his thoughts for educational and informational purposes only. This publication is a 100% subscriber supported. No compensation is received by the author from any of the companies mentioned for the recommendation of a stock in this service (if this changes or there is exception-it will be clearly disclosed to our readers). Opinions and analyses were based on data available to authors of respective essays at the time of writing. Although the information provided on the Website is based on careful research and sources that are believed to be accurate, Mr. Muschinski does not guarantee the accuracy or thoroughness of the data or information reported. The opinions published on the Website belong to Mr. Muschinski or respective associates and are neither an offer nor a recommendation to purchase or sell securities. Mr. Muschinski does not recommend services, products, business or investment in any company mentioned in any of his essays or reports. Materials published on the Website have been prepared for your private use and their sole purpose is to educate readers about various investments. By reading Mr. Muschinski’s essays or reports you fully agree that he will not be held responsible or liable for any decisions you make regarding any information provided in these essays or reports. Investing, trading and speculation in any financial markets may involve high risk of loss. We strongly advise that you consult a certified investment advisor and we encourage you to do your own research before making any investment decision. 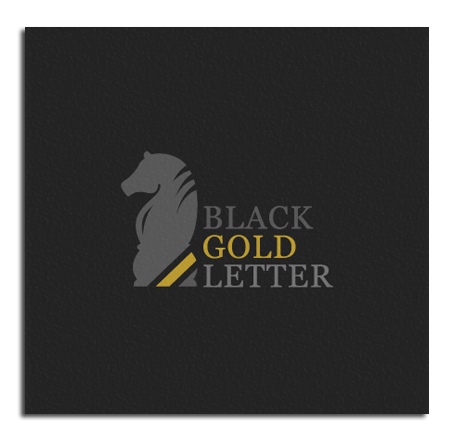 Mr. Muschinski, Black Gold Letter’s employees and affiliates, as well as members of their families, may have a short or long position in any securities, including those mentioned in any of the reports or essays, and may make additional purchases and/or sales of those securities without notice.